"AlertPay is an e-commerce business allowing payments and money transfers and a free to join internet payment service allowing you to send and receive money online. It is a Canadian based company that was established June 19, 2005. There are thousands of money-making systems on the net so how can you decide which kind to use? " "Perfect Money presents unique features for Business and Personal accounts. While using Perfect Money payment system one can do the following Perform money transfers between members, Receive payments in various business projects in Internet, Make regular payments in Internet, Safely store money funds on electronic account and get monthly interests, Make payment for goods and services in Internet shops Buy Gold Metal, USD and EUR currency online"
kali ini kita akan membahas program yang satu ini. Perfect Money adalah salah satu Online Payment yang diposisikan sebagai pesaing serius dari Paypal. 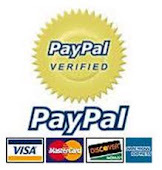 "PayPal is an e-commerce business allowing payments and money transfers to be made through the Internet. PayPal serves as an electronic alternative to traditional paper methods such as cheques and money orders"